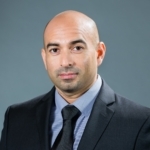 Peter Rivera recently joined the Hewlett Foundation as an Education program officer. He works with our partners to spread, scale, and support educators in effective teaching and learning practices. Peter comes to us from the nation’s second largest public school district, Los Angeles Unified. We spoke with Peter about his work at the foundation and how his experience working with educators has shaped his approach to grantmaking. What attracts you to working on teaching and learning? My passion for education is driven from my personal experiences. I’m the son of immigrants who knew the value of education but lacked an understanding about how the education system functions. I was fortunate to have teachers in high school that helped me realize my potential and challenged me in school. Once I recognized what subject matter resonated with me, I was able to find my educational path. Today, when I look at schools in our neediest communities, I see students who, much like myself, may know of the importance of education but lack the engagement or support to fulfill their potential. I also see educators who are deeply committed to their students, schools, and communities, but are constrained in their practice and resources to support these students. I’m attracted to this work because I see the importance of creating opportunities that would equip the next generation of these students with the skills and mindsets they need to succeed. I also care deeply about improving opportunities for our most disadvantaged youth. It is no secret that students in marginalized communities encounter more health, financial, and educational challenges than others in our country today. Improving the teaching and learning these youngsters receive improves our society and our democracy. As our nation continues to shift to a minority-majority country, we must pay close attention to ensuring we are creating equal opportunities for all students and addressing the needs of our underserved youth. How do you think about the role of teachers and school leaders in creating change? Teachers and school leaders have the most important jobs in America. Teachers single-handedly touch and influence the lives of all our youngsters in America. 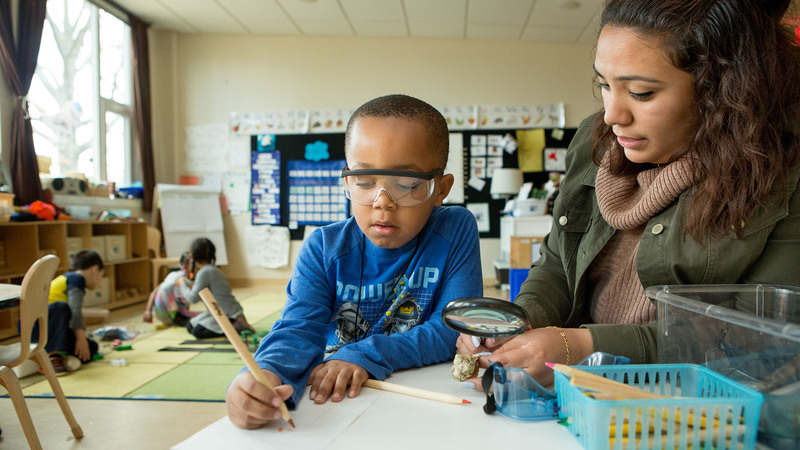 Whether it be through an engaging science lesson or finding a way to assist a student who has vision challenges, teachers can change the life trajectory of a student and a family. Everyone has memories of a teacher that helped them understand how to solve a problem or how to deal with a roadblock, and these situations are what create tomorrow’s leaders, innovators, and problem solvers. Teachers inspire and create change in America every day. We know there are great teachers that have mastered the craft of preparing and engaging their students. I believe the field can learn from these teachers and we should strive to create the opportunities for these teachers to mentor their colleagues. Teachers should also be afforded the time and space to reflect on their practice and engage in teacher preparation programs to enhance their development. School leaders have a unique role in helping to inspire and advance teacher and student success. School leaders create the space for teachers and communities to come together and advance opportunities for all students to thrive. 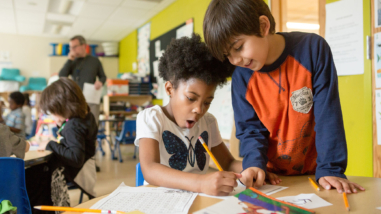 They can support innovative approaches to teaching and learning, build a culture of inclusion and personal attention, and understand how to do more of what works best. Collectively, teachers and school leaders are who make good schools and we must continue to build the capacity of both teachers and school leaders to improve our schools and sustain that improvement. What are the opportunities for philanthropy to support innovative educators? Having worked in California’s largest urban school districts, I am keenly aware that school systems have very little resources to support innovation and new programs or strategies. Administrators and teachers often have great ideas and solutions to some of our most pressing educational challenges but lack the resources to implement these practices. More often than not, administrators rely on philanthropy or state/federal funding sources to create change. In the Los Angeles Unified School District, we leveraged philanthropic support with a state grant to expand professional development opportunities for teachers and increase a class offering for students across the district. Philanthropic support can allow school systems to pilot and test new programs, practices, and ideas. Philanthropic support can help create the research and development needed in school systems. Truly understanding how and where opportunities exist requires understanding the role educators play in the innovation. Educators’ knowledge of their students and communities they serve best position them to develop the solutions their students need. When philanthropy takes the time to listen to the folks on the ground, connecting the context to the innovation, success happens. What excites you most about Hewlett’s K-12 Teaching and Learning strategy? I’ve always viewed education as the driver that allows young people to achieve their dreams and our society to continue developing. I’ve always known that students in our neediest communities face the greatest obstacles to achieving their dreams. I’m deeply excited about the strategy because I know we will be focusing on our underserved students and will be seeking to create equal opportunities for these students. Every child has a dream, every child has as aspiration, and I believe every child deserves the opportunity to explore those dreams and aspirations. What’s more, our new strategy is focused on understanding what works best in public schools, which serve students who often need the most assistance. They are the vehicles to allow students to achieve their dreams. 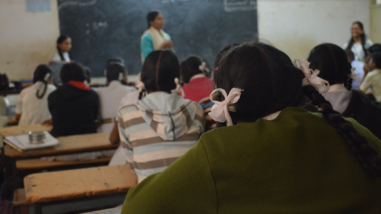 Our efforts will aim to create equitable access to educational and extracurricular opportunities so that every youngster can develop the skills they need to achieve their dreams. And we are committed to being flexible, in recognition that education is largely local. Our team understands that there is no “one” singular way to create these opportunities for our youngsters. We are aware there is a need to strengthen and support schools and pay close attention to the context of the local school community. Our attention to local context in strengthening and supporting schools gives us a real lever for changing this space. What is your grantmaking philosophy? My grantmaking philosophy has always been driven by seeking to identify where the biggest need exists and listening to those closest to the problem. Once we understand where the needs and problems are, we must involve those most effected by the problem in identifying how to begin to solve it. I’ve always believed grantmaking is a tool in a very large toolbox that plays a role in finding solutions, but grantmaking alone will never solve a problem. Grantmaking helps identify the problems and creates a space for solution identification. Grantmakers must strive to continually listen and engage with those closely impacted by the challenges we seek to address, and keeping this in mind fosters the best outcomes.